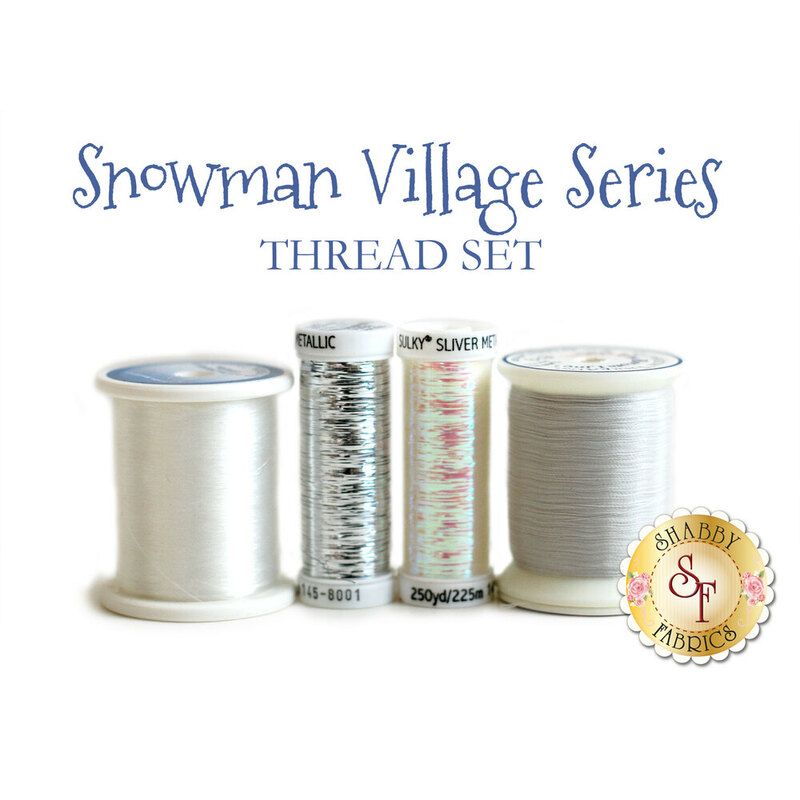 This four piece thread set has been put together specifically for the Snowman Village Series; designed by and exclusively available at Shabby Fabrics! It includes two 250 yard spools of Sulky Sliver Metallic Thread and one spool each of the MonoPoly Clear & Bottom Line combination -- for the machine applique. The Metallic threads add a beautiful shimmery touch to key pieces of your applique, while the MonoPoly thread is invisible so you can't even tell it's there! Not only are these threads great for the Snowman Village Series, they are excellent to have on hand for other projects as well. 1,420 yds; Color #623, Silver.